Tuition & Fees – Welcome To Metropolitan Gymnastics! Please note tuition fees are due on the first of each month. A $15.00 late fee will be assessed for any tuition not received prior to the 7th of the month. There is no pro-rating of tuition for missed classes. No credits or refunds are given for tuition. The office must be notified in writing if you intend to drop. Please don’t forget that if the office is not notified by two weeks before the first class of the Month that you are dropping, you become responsible for that Month tuition. Each student must pay an annual registration and membership fee of $40.00 per student or $60.00 per family. This fee is paid once a year upon the anniversary date of your registration. This fee is to cover the cost of liability insurance and paperwork incurred by the gym. The first child pays full tuition and each additional sibling in the same family receives a 10% discount. Tuition that is paid 3 months in advance receives a 5% discount, and tuition that is paid 6 months in advance receives a 10% discount. 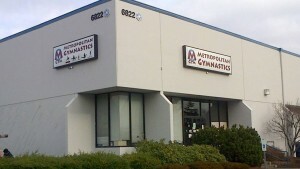 Privates are available for gymnastics, apparatus work, dance, tumbling, cheerleading (pairs or groups), and choreography. Please schedule with individual coaches.